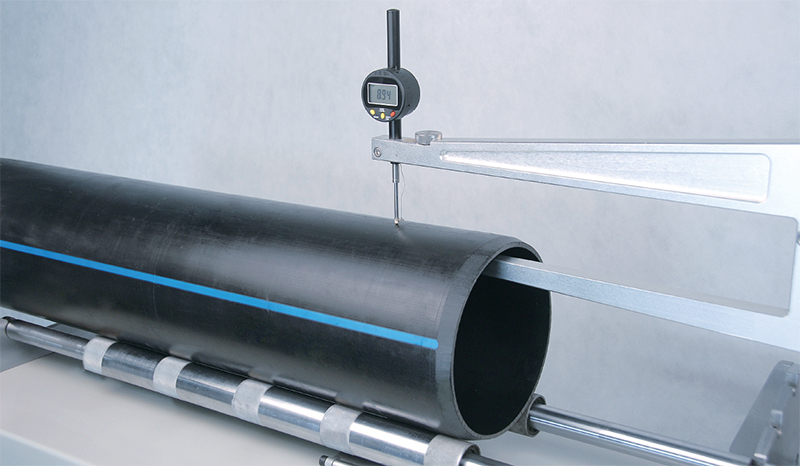 QT-WTM Pipe Wall Thickness Tester is used to determine wall thickness for pipes (PE, PB, PEX-Al-PEX, etc.) at the maximum axial depth of 400mm. Pipe Wall Thickness Tester is widely used in pipe manufacturing, water supply and drainage projects or Industrial field. High precision micro gauge was introduced to collect test data, Locking device ensures gauge beam and sample touching perfectly, that test result more accurate. 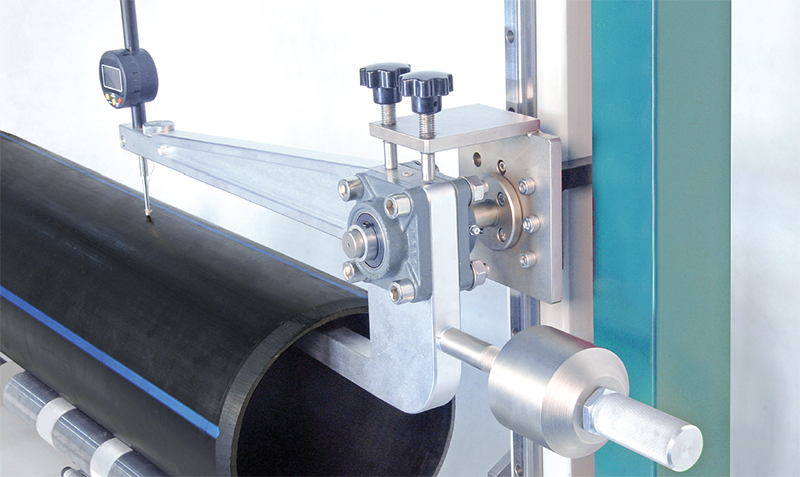 Hand wheel and high-precision guide channel control . 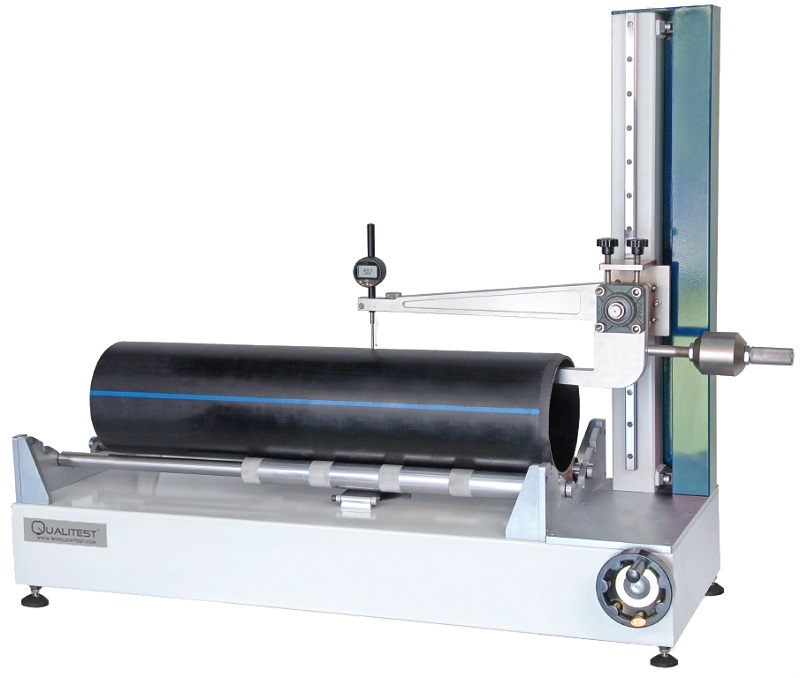 In order to work for samples with different sizes, the height of test arm can be adjusted freely. Also the sample is located on sliding rail , that the test range in axial direction can be adjusted. Equipped with dial gauge lifting system,it can be used to protect dial gauge from the sample when they were contacted. Friendly operation interface, system can record wall thickness and describe it in a test curve, also Max. wall thickness , min. wall thickness & average wall thickness can be acquired and be saved automatically.